Say goodbye to password hassles. Now you can log on to your computer and your favorite Web sites with the touch of your finger, without having to remember all those passwords - simply place your finger on the receiver whenever a password or username is required. Works only with Windows 7, 8 and 10. Does not work with Windows XP and Windows Vista. Use this product for logon to Windows 7, 8, & 10. Works with Windows HELLO. State of the art silicon touch sensor in an all-metal housing. 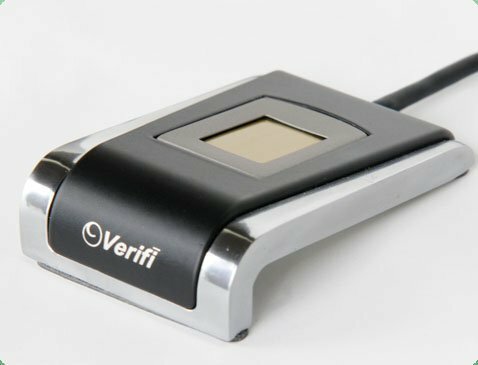 If you have any questions about this product by Verifi, contact us by completing and submitting the form below. If you are looking for a specif part number, please include it with your message.